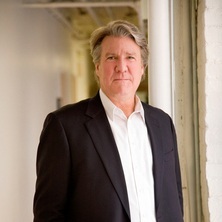 E. Kevin Schopfer AIA, RIBA is an award winning architect and designer whose work has been published and recognized worldwide. He has, for over 30 years, practiced in a broad range of design disciplines. It is this spectrum of work which affords a unique vantage to apply relevant and distinct solutions to any given endeavor. An extended discussion of his design philosophies are expressed throughout this site. As these venues have grown, Mr. Schopfer and his studio have expanded their expertise in long-range design concepts and master planning. To that end, select international work, both through clients and the international competition system, have broadened the capabilities of this firm. Starting with the most current work, the following is a partial list of projects by Mr. Schopfer as either Principal in Charge, principal in charge of design or both. These projects represent completed work, developmental studies, proposals, ongoing and competitions. International UFO Museum and Research Center (Roswell, NM), Sports Mall of America (Las Vegas, NV), Bahia Mar Resort (Ft. Lauderdale, FL), Renaissance Vinoy Hotel Resort (St. Petersburg, FL), Moon World Resorts, Eritrea Village Resort (Evia, Greece), Allstar International Hotel (Macau, China), Taipei Performing Arts Center (Taiwan, ROC), Charles Hotel (Cambridge, MA), Onterie (Chicago, IL), O’Callaghan Hotel (Boston, MA), Boca Pointe (Boca Raton, FL), Alton Park International Exposition Center (Ankara, Turkey), Grand Egyptian Museum (Cairo, Egypt), World Trade Center (New York, NY), Kush Hotel / Spa (Miami, FL), Residences at Commonwealth (Boston, MA), Reebok World Headquarters (Canton, MA), Was Al-Khaimah (UAE), Convention Center Hotel (Syracuse, NY), Technical University of Delft (Netherlands), Noah’s Ark Visitors Center (Turkey), City Tower (Rio de Janeiro) and W Hotels (Providence, RI). Mr. Schopfer has also been selected as the Chief Design Architect and Master Planner for Aquantix International. (includes Interior Design) Boca Raton Resort & Club (Boca Raton, FL), Omni Parker House (Boston, MA), Logan International Airport (Boston, MA), Equinox Hotel / Resort (Vermont), Woodstock Hotel / Resort (Vermont), Hotel Commonwealth (Boston, MA), Pearl River Hiltron (Orangetown, NJ), Omni (New York, NY), Copley Plaza (Boston, MA), Center of New Hampshire (New Hampshire), Reebok International Flagship Stores Worldwide (Boston, Los Angeles, New York, Moscow, St. Petersburg, New Delhi, Calcutta, Johannesburg, Panama and Beijing), Natuzzi of America Headquarters (Highpoint, NC), Reebok World Universal Studios / MCA (Orlando, FL), Grand Hyatt (New York, NY), Baystate West (Springfield, MA), Children’s Galleria (Boston, MA), University Park Hotel @ MIT (Cambridge, MA), Rockport Shoes Flagship Stores (Boston and New York), Basketball Hall of Fame (Springfield, MA), Settler’s Green (North Conway, NH), Hilton International Hotel (Washington, DC), Omni Hotel (Philadelphia, PA), Le Meridian (Boston, MA), Mystic Hilton (Mystic, CT), The Stow Club (Stowe, VT), Ma Maison Hotel (Los Angeles, CA), Sheraton White Mountains (North Conway, NH), Sheraton Cambridge (Cambridge, MA), Tree Haus Hotel (Pittsburg, PA), BWI International (Baltimore, MD), Radisson Boston (Boston, MA), Radisson Cambridge (Cambridge, MA), Long Branch Common (Long Beach, NJ), Danbury Hilton (Danbury, CT), Reebok Health Club (Boston, MA), LeFont Galleria (Washington, DC) and Farnsworth Museum of Television (Rigby, ID). For almost 40 years, Mr. Schopfer has maintained an independent international design consultancy focused on concept and product design. Many of these ventures have resulted in the formation of separate companies. In 2008, Schopfer Yachts was founded to design and implement high concept luxury yacht. The first yacht is Oculus with a length of 240 ft. In 2000, he founded (the award winning) Marsnext.com. An internet community entity dealing with the inevitability of space commerce. Other ventures include Usque Designs Ltd. (design / production), Plus Designs International (Co-Founded with William K. Seidel) New York / Singapore (design / production / distribution) and HH Holding Company (design / production). Mr. Schopfer also had a long term design relationship with George Kovacs Lighting (NY) producing several lines of residential lighting. While working with Reebok International, Mr. Schopfer was commissioned to explore several product concepts including Step Reebok, Jump Reebok, Ring Reebok and later to lead the design team in the development and production of Slide Reebok. Through all these activities, Mr. Schopfer has held and still holds a variety of US and International patents. Florida, Massachusetts, New York, Vermont, New Jersey, Wyoming, New Mexico, and Connecticut.